Malaysian Monbebe, this is the moment you’ve been waiting for. 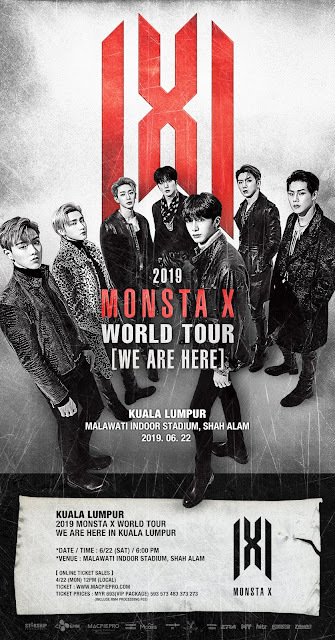 It is time to get your hands on the tickets to Monsta X’s “We Are Here” concert in KL! From this 13 April onwards, tickets will be made available first to Mcalls subscribers before offline ticket sales begin on 20 April, followed by the online ticket sales from 22 April onwards. Tickets are priced at RM273 (Green Zone), RM373 (Purple Zone), RM483 (Yellow Zone), RM573 (Red Zone), RM593 (MONBEBE Zone) and RM693 (MONBEBE Zone VIP Package). MONBEBE Zone VIP Package includes Hi-touch and a chance to win an Autographed Poster. Of course VIP Monbebe gets the best seat (or standing zone to be exact) in the house! Take note that if you purchase your tickets through official channels within the first week of the ticket sales launching, you will get the chance to win a Send-off Pass via lucky draw! Of course, that is not all. In line with organiser MacpiePro’s corporate mission for Music Fans to embrace a ‘stress-free music’ spirit, MacpiePro once again collaborates with Mcalls to provide the ‘HITS’ surprise for Music Fans. 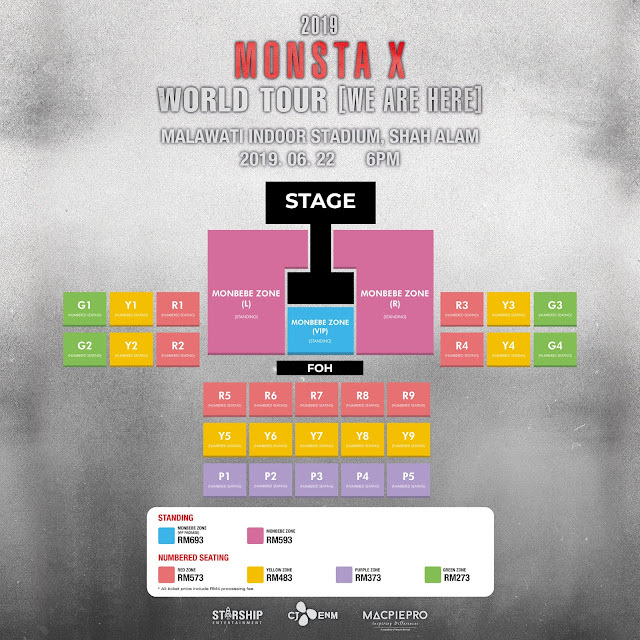 This means if you subscribe to Mcalls HITS Plan, you’ll get the first two tickets at 30% off and an additional two tickets at 10% off (for either Red Zone RM573 or MONBEBE Zone RM593). Existing Mcalls Fans can also upgrade their existing plan to HITS Plan to enjoy the HITS Deal. Don’t miss out on Monsta X’s first full concert in Malaysia. Shownu, Wonho, Minhyuk, Kihyun, Hyungwon, Joohoney and I.M. were in Malaysia last August as part of the lineup for the K-Wave 3 Music Festival. 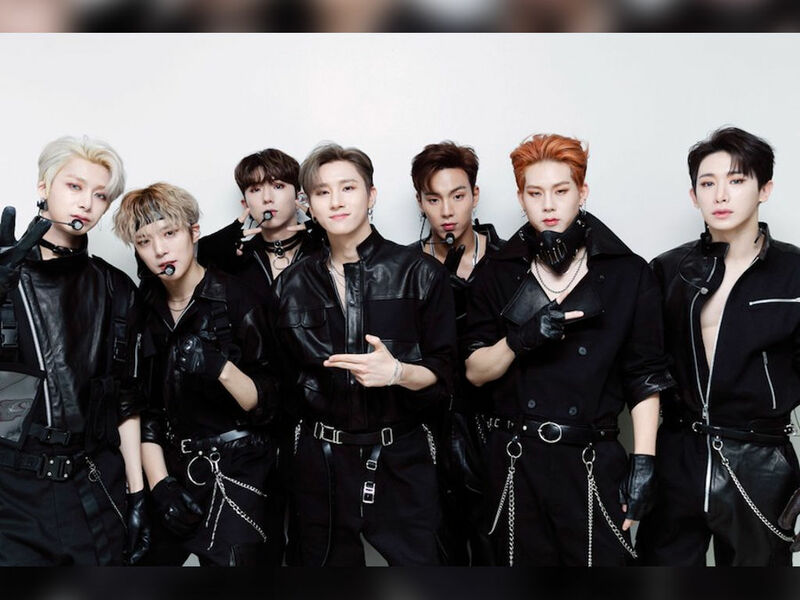 Judging by the cheers they received at the show, there’s no surprise why the group decided to come back this year with a full solo concert just for their Malaysian Monbebe.